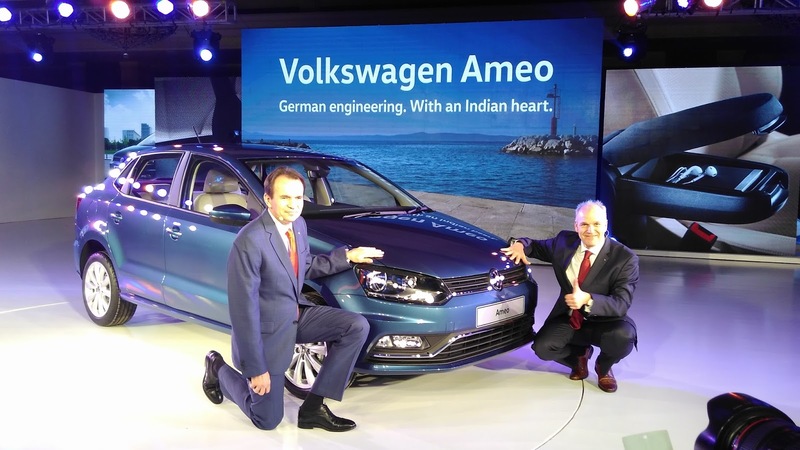 The Genrman car manufacturer Volkswagen today announced World Premiere of Volkswagen Ameo. ‘Ameo’ is derived from Latin word ‘Amo’ which means ‘I love’. 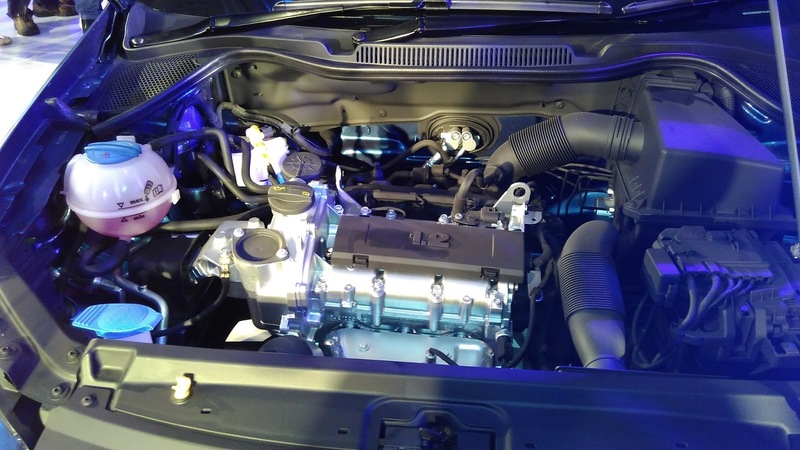 It is the first sub-4 meter sedan by the brand. 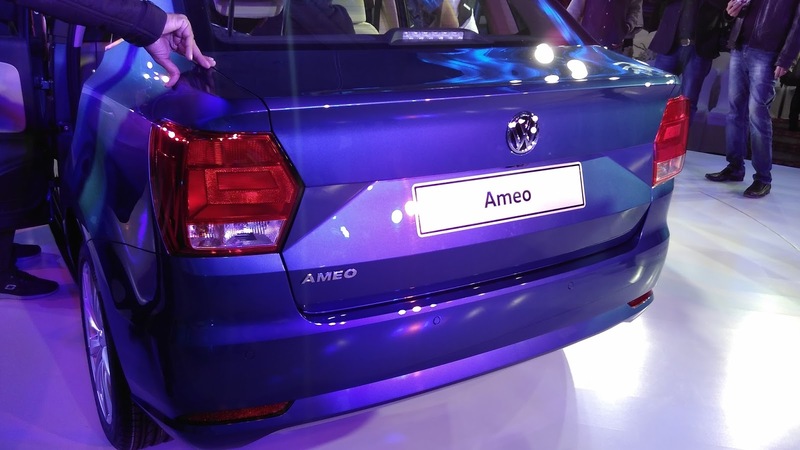 The Ameo has been specially designed and engineered for Indian market only and will be manufactured at Volkswagen plant in Chakan, Maharashtra. 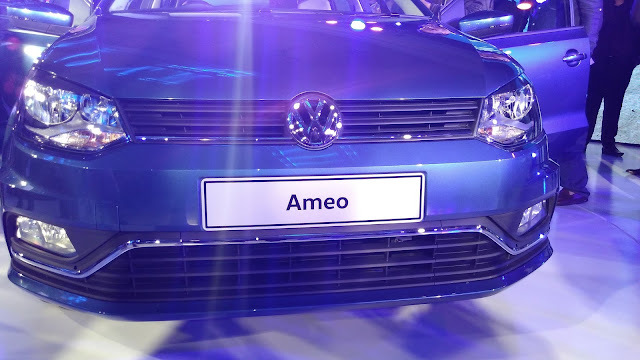 Under the hood, Ameo will be available with two options -1.2 litre 3-cylinder MPI petrol and 1.5 litre 4-cylinder TDI diesel engine.The 1.2 L MPI engine will be mated to 5-speed manual gear box. 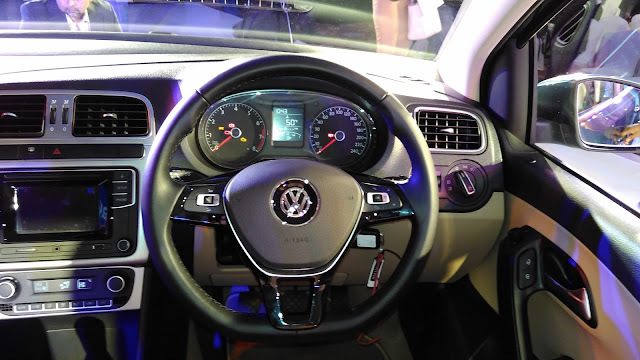 While the TDI version will be available with 5-speed manual transmission and DSG transmission options. 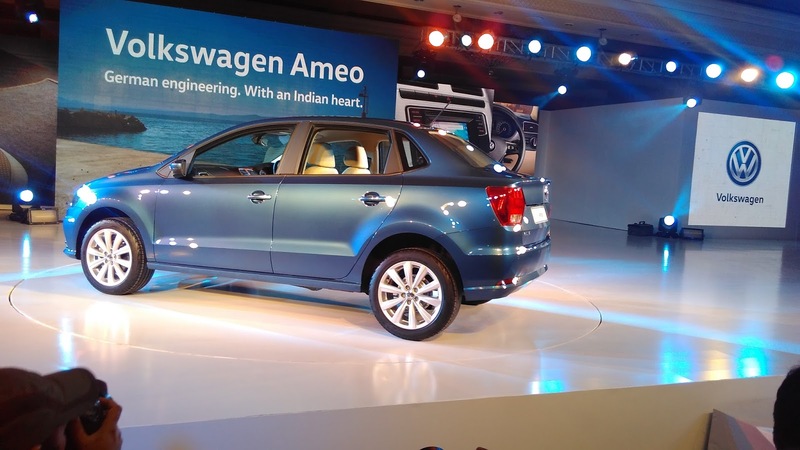 Talking about the safety features Ameo is equipped with all essential safety features as per Indian standard. 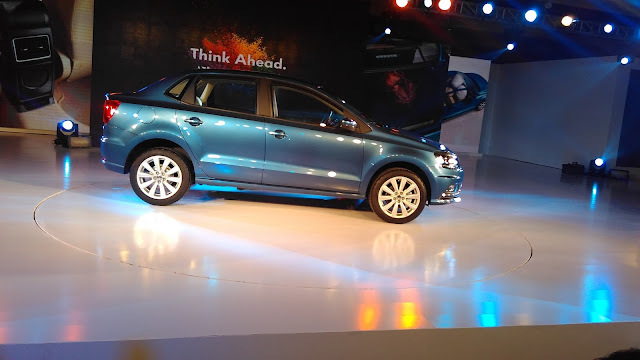 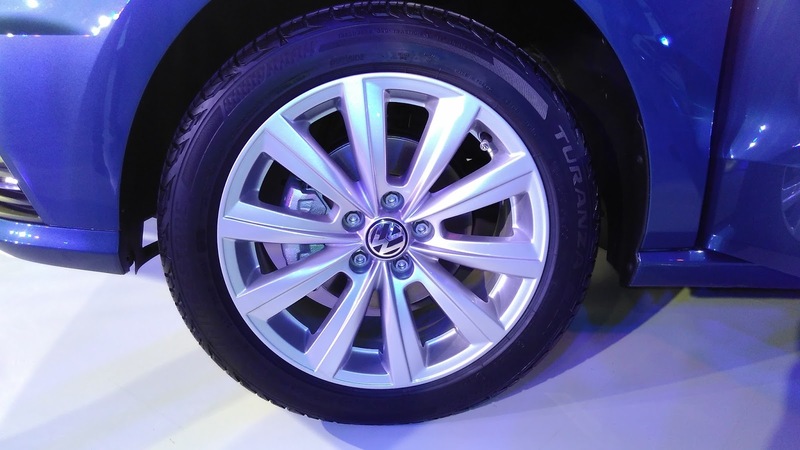 All variants are equipped with dual front airbags and ABS as standard. The superior build quality of Volkswagen Ameo like all Volkswagen cars will result in a brilliant combination of class leading ride quality, handling and high-speed stability. Keeping in focus the comfort and convenience of its driver and passengers, Ameo will be equipped with segment-first features like cruise control, rain sensing wipers along with static cornering and dynamic Touchscreen multimedia music system with mirror link, I-pod connectivity, phonebook/SMS receiver. 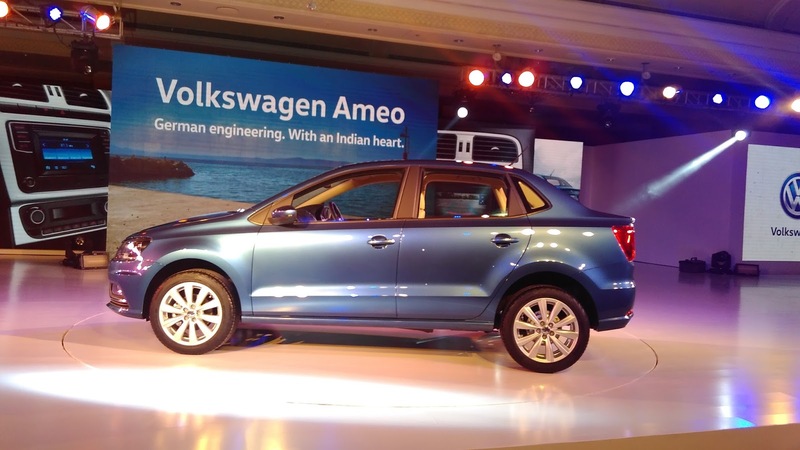 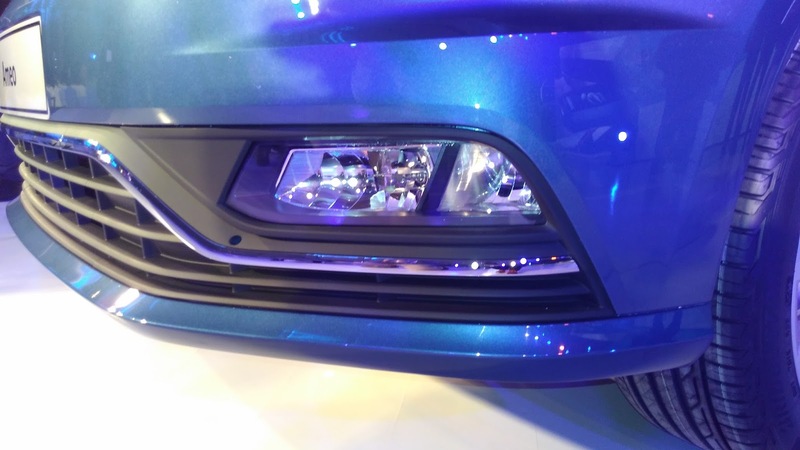 Volkswagon Ameo will be available for customer perview at Delhi Auto Expo. 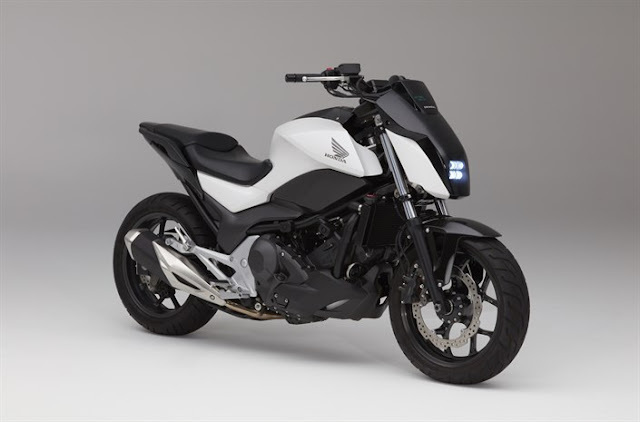 It is expected to be launched in the Indian market in H2-2016.